Le Sigh, any faceoff with Jun will not be pretty. The last time that happened, Kangto got his arm cut. Imagine what Rie will do if she knows the person fighting her is Kangto kekekekekeke. HOLY MOTHER OF ALL THAT'S AWESOME! why is rie..... im so confuzzled!! The 3rd picture, is that blood? Is KT injured like someone predicted? And MD will take care of him. Why do I have no access to my pc these couple days when killer pics like this come out. My phone is not enough to do justice! Anyway baidu netizens speculate he is injured, and may also run a fever as he is drenched( in sweat or rain IDK but the hottest man ever) so Mok Dan needs to tend to him and take care of him. And in the process, take of his clothes(since its wet) and mask. So.. maybe gaksital will loose the fight then escape *with MokDan* by to the water..through the river. . ? There's a lake behind the fighting scene, btw.. I think Kangto will be injured. The Chinese website says that Kangto will fight Jun while Rie and Mok Dan have their own bitchfest. Let's hope this one is better than the last fight in the hotel ahha!. 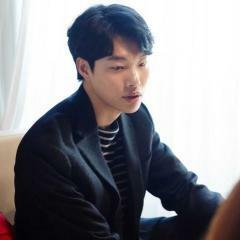 PS: @lyra_brillantez I'm not trying to promote anything, I don't even own the Joo Won thread but some of the material in here should rightfully be in Joo Won's thread so...just saying. are we going to have a scene where she will take off his mask, too? *gasps* anyway, so he'll get injured and then she'll do first-aid? first step is to take off the mask lol. that's awesomeness, but what's up with the scene he was crying and everything? does that come after or before this incident? anyway, we'll know if these scenes actually occur ep 17 or not. did the pics come from the preview too or just behind the scenes stuffs? thanks for the news/pics. Off to bed, will have myself watch the new episode first thing in the morning. Goodnight...although most of you are in Asia/Europe which is afternoon??? Anyone living in US? EDIT: Live recap on Vingle site, stay tuned! less than five hours to go! yaaaayyyy so excited! hopefully streaming will be okay tonight! This is from Jin Se Yeon's twitter. So cute XD Getting her petty revenge! @kaeru-chan, how do you put the spoiler tags?